Tampa&apos;s Riverwalk just keeps getting more and more exciting! The Sail Pavilion is under construction just outside of the Tampa Convention Center along the Riverwalk. It&apos;s going to be an open-air, waterfront retreat and will feature refreshing beverages and cocktails, light snacks, premium cigars and a relaxing atmosphere that will cater to residents, convention delegates, hotel guests and Riverwalk explorers. 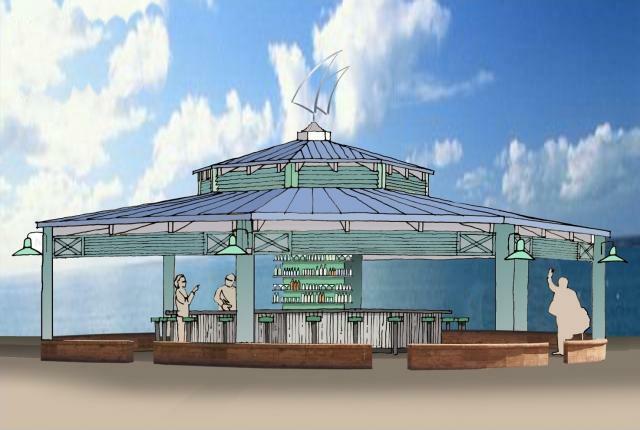 And my favorite part about the Sail Pavilion is that it will be dog-friendly! The Pavilion will be equipped with stainless-steel dog water dishes and doggy treats, so your furry friend can enjoy the pavilion just as much as you can! This exciting addition to the Riverwalk is expected to be complete by June of this year. I will be sure to check it out when it&apos;s done, and so should you.